The Australian government sets up a wide-ranging carbon tax after a long fought battle. The general populace are left puzzled and bemused after years of arguments between political rivals and vested interests. 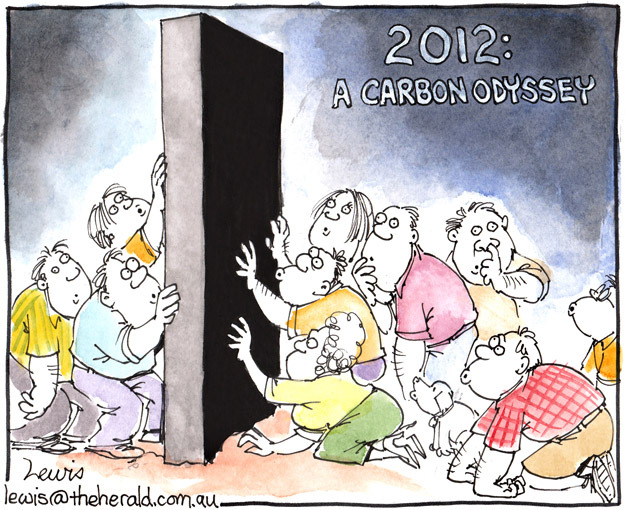 This entry was posted in Editorial Cartoons and tagged australia, carbon tax, climate, coal, election, energy, environment, environmental activists, Julia Gillard, liberal, politician, politics, power, Prime Minister, tax on December 3, 2012 by Art by Peter Lewis.